Many commercial premises have areas of ceramic tiled flooring in places that receive a lot of traffic, as ceramic tiles will last much longer than vinyl or carpets. Areas such as commercial kitchens in: Hotels, large company buildings, showrooms, behind the bar in clubs and pubs, schools, colleges, universities, Care Homes, Conference Centres and airports. Places where dirt and bacteria from spills and splashes can breed very quickly. All these places will have a daily procedure to mop the floor, but using the same mop head for months, you may be removing the stains, but you will be spreading the bacteria. Just have a look at the grouting…. Is it white and clean? Or is it black and greasy? If it ISN’T white, then it will be full of dirt and bacteria that you are unknowingly spreading all over the tiled area every time you mop. The picture above shows a tiled floor AFTER we cleaned it. 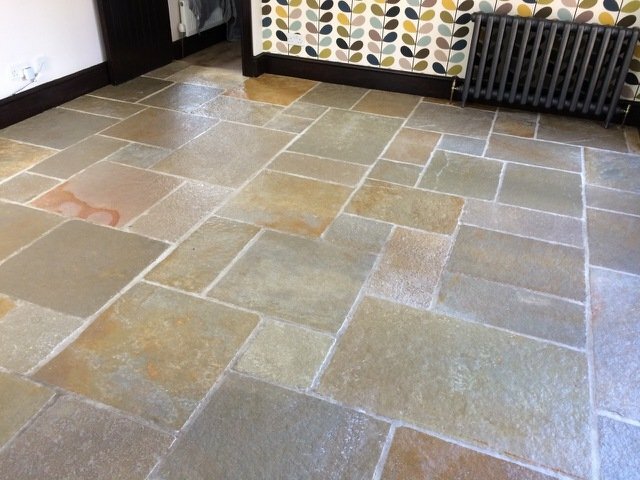 For Health and Safety at Work reasons, it’s easy to have all this dirt and bacteria removed regularly, perhaps once or twice a year; to avoid ANY outbreak of infections caused by MRSA and other bacteria that is happily breeding in the grouting area. 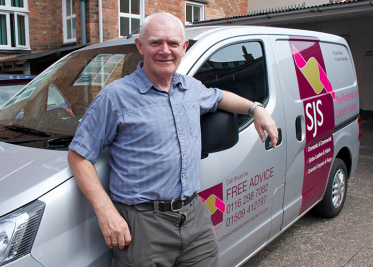 SJS Carpet Cleaning have a process that guarantees all bacteria AND allergens are completely removed and neutralised. They are accredited by the NCCA National Carpet Cleaners Association and their services are all fully insured and properly invoiced as a business expense.